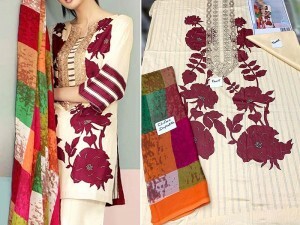 This year, Motifz came out with yet another lawn collection that is making news already. 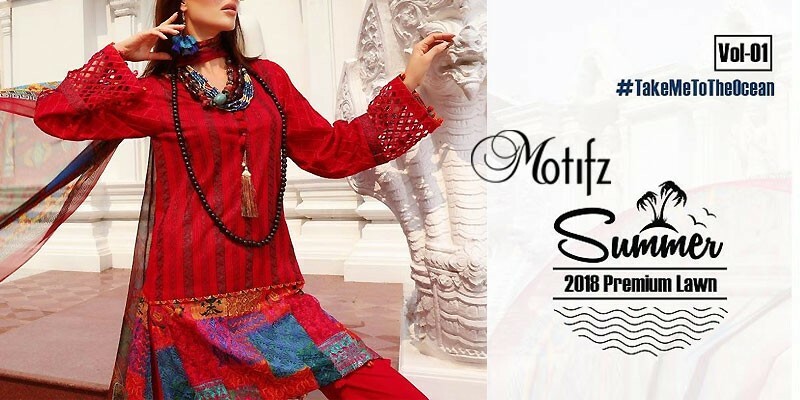 The new Motifz Premium Embroidered Lawn Collection 2018 Volume 1 has hit the stores digitally as well as locally. The new premium lawn collection is the epitome of sheer perfection that is subtly wrapped in a traditional color palette and modern creativity. 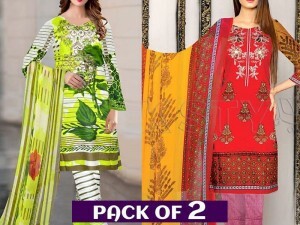 The new Motifz Premium Embroidered Lawn Collection 2018 has combined the most desired oomph factors and created this amazing collection. The designers have put together an innovative approach to traditional printing and fused it with some modern western cuts which resulted in something that consumers have never seen before. Using the finest quality lawn material and putting forward the most intricate embroidery, this collection is soon going to be sold out. From the gorgeous collection for the year 2018, here are our most adored 3 picks. This royal blue dress with creamy taupe contrast is fit for a queen. 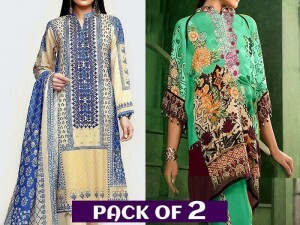 The 3 piece lawn dress has Turkish Embroidered lawn shirt with a beautiful digital printed and embroidered borders. The embroidered net dupatta and cambric dyed trouser work perfectly well with the bold color of the dress hence giving is an undeniable regal look. This gorgeous red lawn dress with a multicolor daman motif is going to be your new favorite this summer. Embellished with Kantha intricate digital printed embroidered lawn shirt that is paired with a digitally printed fine crinkle chiffon dupatta and dyed cambric trouser make the whole theme just sit together fabulously well. Since white is most preferred color for summers, this white womens dress with dull gold and dusky pink floral accents is going to be your ultimate choice. The intricate geometrical embroidery over the short piece makes it beautifully abstract looking as it is paired with embroidered crinkle chiffon dupatta and dyed cambric trouser with embroidered patch.